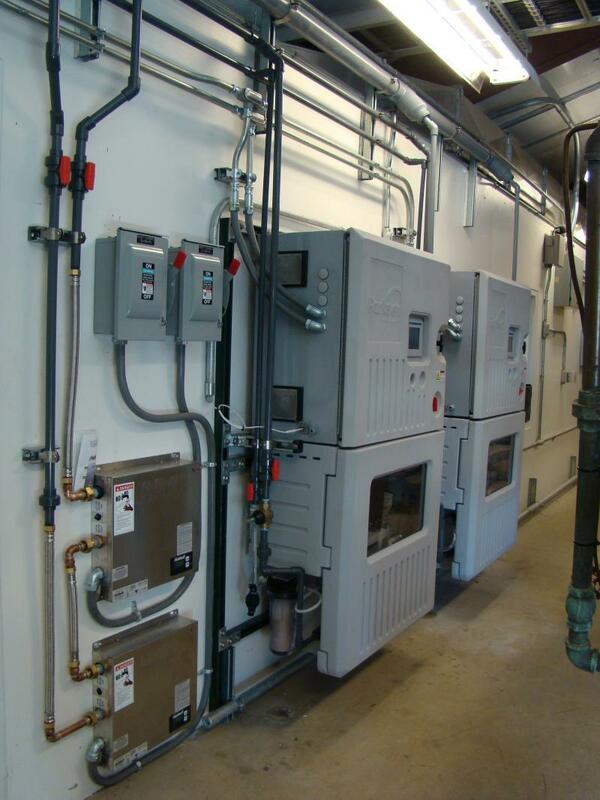 MaximOS On Site Generation System supplied by Parkson Corporation, Surefeed Chemical Metering System and Control Panel supplied by Superior. 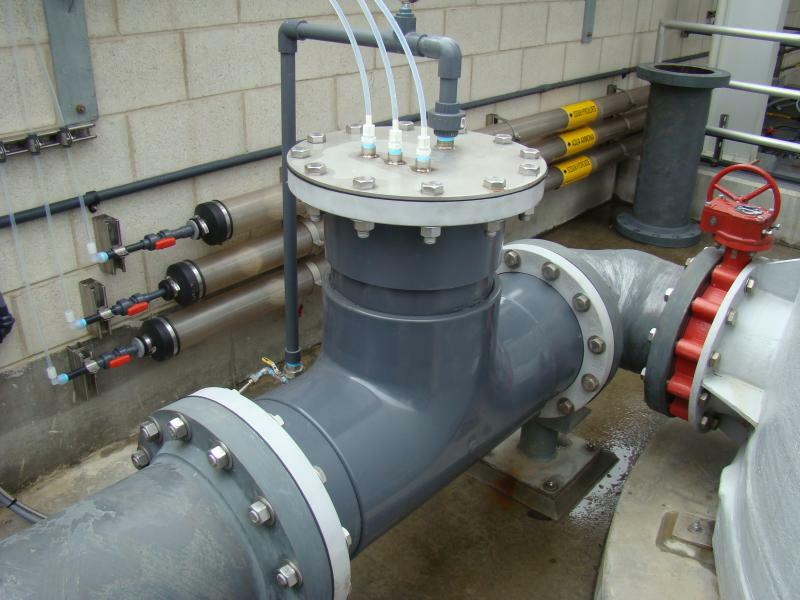 VORTEX Inline Pipeline Mixer installed at Orange County Water District Groundwater Replentishment Facility, the largest water reclamation facility in the world. 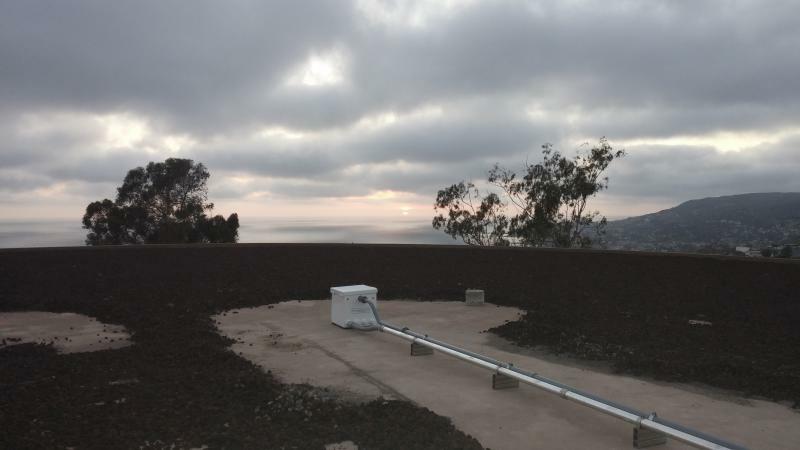 South Coast needed an inline mixer for their groundwater recovery facility in San Juan Capistrano. 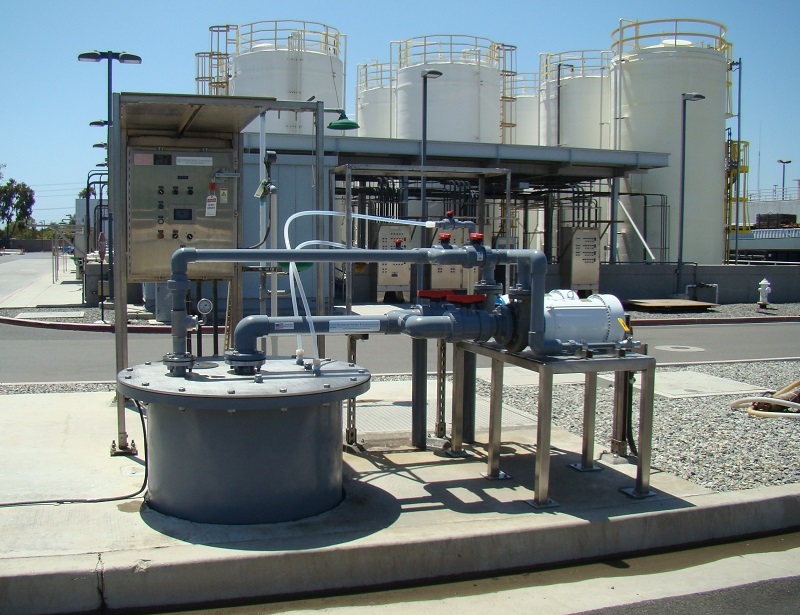 The mixer performs water treatment chemical injection and mixing for final treatment of reverse osmosis process water before release back to the ocean. See the VORTEX main mixer arm in the center of the photo. The arm is suspended from the box you see on the photo above. 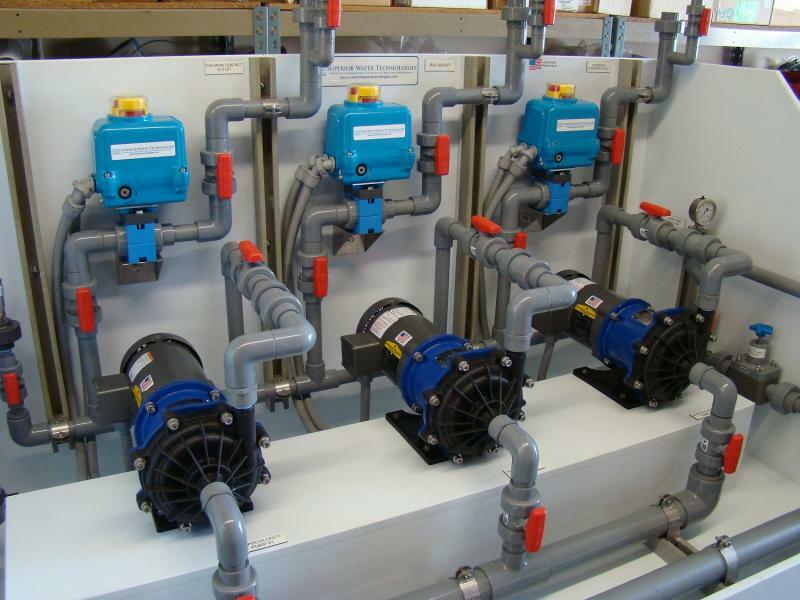 The patented nozzle tech-nology mixes the reservoir water as it injects disinfection chemicals. The nozzle is so powerful that it is displacing the bottom sediment as you can see in this photo. 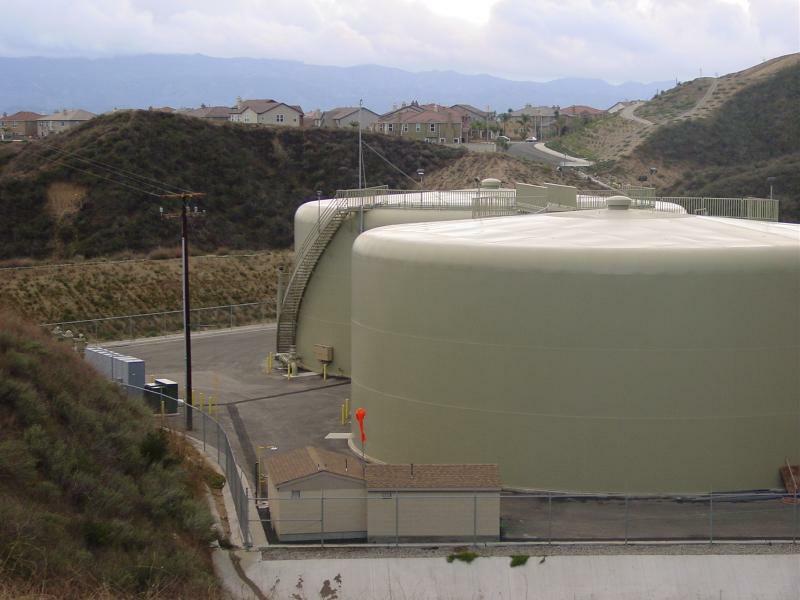 Chlorine residual is consistently and well within state standards, even in the outer perimeter of the 8 million gallon tank. 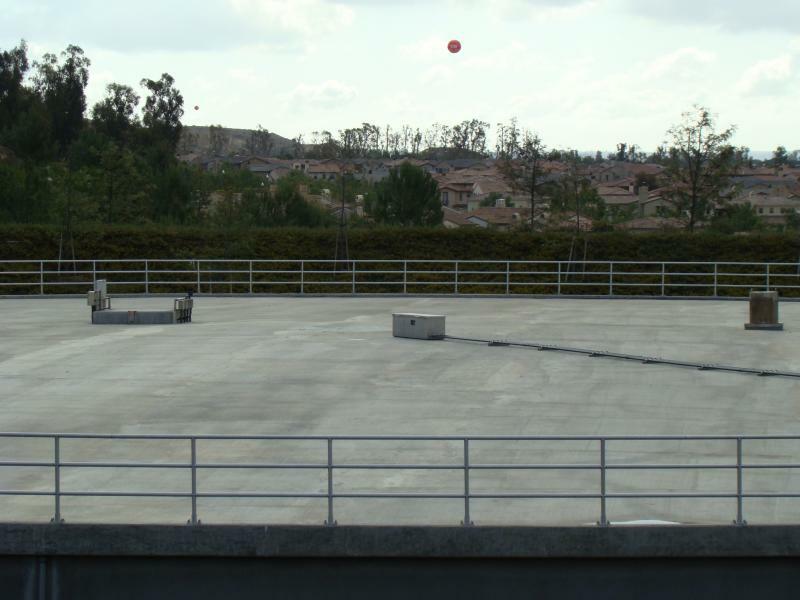 Irvine Ranch Water District tested a VORTEX mixer in one of their reservoirs for 6 months before deciding to purchase for six more sites. Factors in their decision making process were ease of maintenance and overall effectiveness. 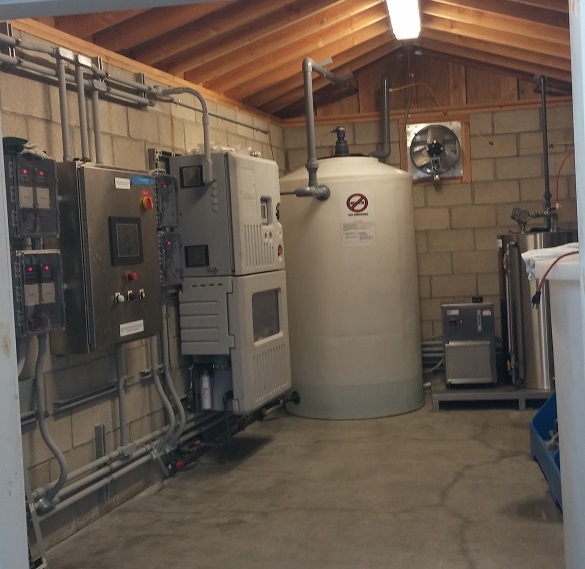 Superior Water provided and installed a complete on-site hypochlorite generation system for the City of Richland, Washington. 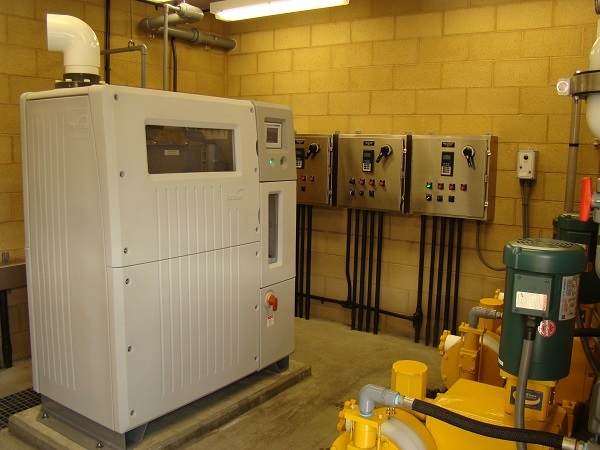 Several components, such as this pump skid, were custom built by SWT for the facility.